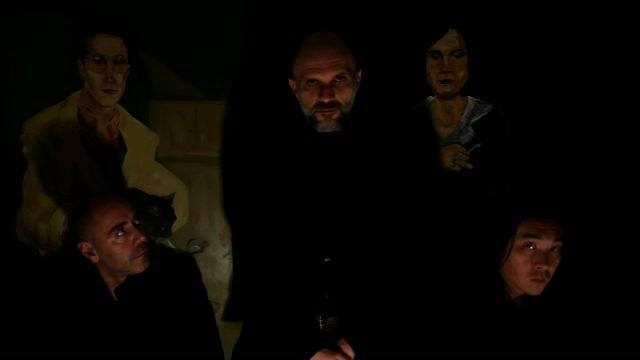 Interview with Andrea Zingoni, the vocalist of the Italian Rock Wave band NoN. Hello Carla, I’m ok, despite this very hot Italian summer, but we’re looking forward, winter is coming! When did NoN was formed? We’re a sort of reincarnation, we use to play togheter in the late 90’s then, for various reasons, we stopped, only Alvaro continued as the drummer of the GF93 band for several years. I began to study cinema and Massi became a photographer. It’s strange to think about it now, but we lived in a different way at that time, there was not much music in my life anymore. After a decade we met again, casually, and we decided to try to play some new music in “trio”, then we formed NonViolentateJennifer (it’s the italian title of “I spit on your grave” movie) in 2011 and published an EP in 2012. Then I started to play electric guitar, I use to play keyboards first, to move our sound in a sort of hardest and more aggressive way, and we decided to became just NoN which is a negation in Italian language and a shorter name too. ”Sacra Massa” is the debut album, tell me about it. Sacra Massa is our debut album but contains some songs we use to play before in a different way. 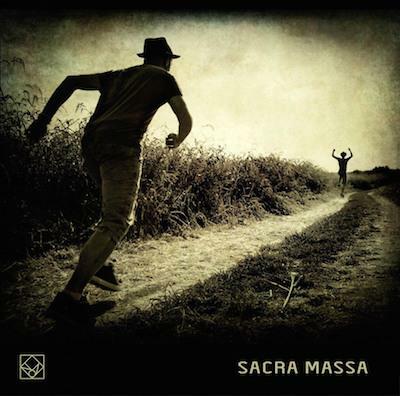 I think “Sacra Massa” is an album about the end of humanity, it’s about the indifferences around us and it’s a “j’accuse” against the people has become cynical without even realizing. I think, basically, it’s a sort of “in search of love” album. Who mainly writes the lyrics and what are the lyrical themes? I wrote all the lyrics in this album, except the first part of “Lo spettro delle possibilità” which is a script by Massi. Basically the lyrics are about the awareness of being part of a world we don’t like whit all the consequences that this entails. Sometimes the language is straight to the point, sometimes it’s a sort of images descriptions. Actually we’re working on new material for months and we hope to realise a new album for the beginning of 2016. We’re influenced by so many things, it’s hard to say; I think basically by the real life; by what happens in our lives. For sure not only by music; we’re influenced by a lot of movies, for example Cronenberg’s movies or Tsukamoto’s movies; A lot of writers, like Kafka or Bukowski or Burroughs; in music we love so many artist and band, I think I can say all the “post punk” music, from Wire, Bauhaus, Cure, Swans and american bands like Fugazi, BigBlack and Melvins, but we love also the French music d’auter, like Brel, Gainsboroug, and some Italian songwriter like Ciampi or Tenco. We’ll take part in some festivals in September, the 5 we’ll play in Festivalbanda in Bergamo; the 19 in Garage Records Festival, we hope to increase our shows until the end of the year. Do you have a message for the people who listen to NoN? All I can say is not to be prejudiced by listening to the music of an Italian band, if someone like our music and get curious about the lyrics may contact us on Facebook and we will be happy to translate our lyrics! And I recommend: listen more music as possible and buy all the music you like if you can! Thank you Andrea, all the best! Thanks to you Carla, it was my pleasure to answer your questions!